Completely renovated, bright and modern 1 bedroom suite available October 15th. Rent includes heat and water. Suites have ceramic tiles, mirror closet door, real hardwood floors, brand new appliances including fridge, stove and dishwasher. 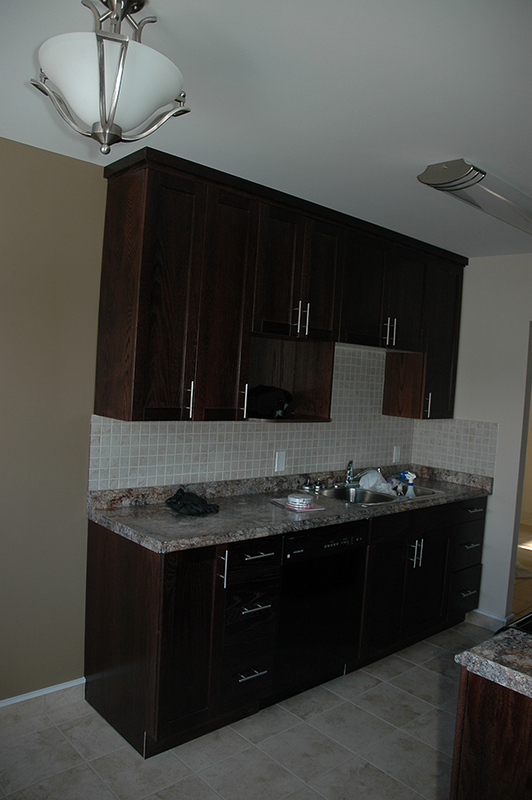 Beautiful custom cabinets in bathroom and floor to ceiling cabinets in kitchen for additional space. Spacious laundry room on the main floor with new ceramic tiles and newer washer and dryer. To view please call 204-663-5167. This clean and quiet 3 story building located in North Kildonan is close to schools, parks, bus service and minutes away from Henderson Highway shopping. These spacious 1 and 2 bedroom suites offer floor to ceiling cabinets in the kitchens, hardwood and tile floors and dishwashers. This professionally managed building offers a spacious laundry room on the main floor, storage, security entrance, and on-site caretaker. To view please call the caretaker at 204-663-5167.